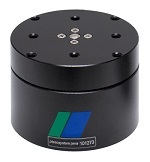 piezosystem jena is a worldwide supplier of high precision nanopositioning equipment. Our piezoelectric ceramic based actuating systems and stages are mainly used for micro positioning and nanotechnology for highly accurate movement of optical devices and optical components. Typical applications are located in the field of confocal microscopy, and AFM technology, as well as, SNOM, RAMAN spectroscopy, ultra high resolution microscopy, single photon stimulation, 3D scanning, and probe alignment and tracking. Furthermore, our products are also utilized in applications related to laser beam steering, beam stabilization, and beam alignment in optical resonators. In addition, our equipment can also be used for mirror adjustment and beam tracking. In the semiconductor area, our systems are preferred for XY and Z movement of probers and wafer handling systems. Key applications are X-Ray beam collimation, electron beam crystallography, laser welding, and thrilling. In the field of rapid prototyping, our products are often used for default tracking on flat panel displays and pixel multiplying. Reliability and excellent performance are the key factors for using piezoelectric positioning equipment from piezosystem jena.